It’s not just band news we bring our readers when it comes to the big festivals such as Download. Anyone who was in attendance at Donington last year will know that it was the soggiest Download to date, which caused A LOT of problems in and out of the arena. Add to that a major traffic accident severely limiting access to the site on Sunday and some people were left with some less than desirable parts to their Download 2016 experience, something the organisers are very keen to eliminate this time around. 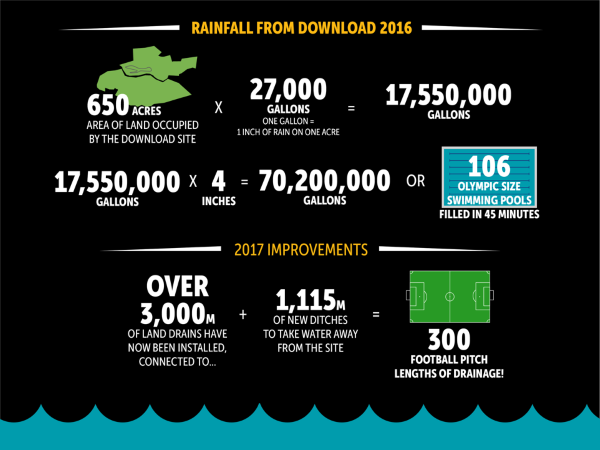 Over 3,000 metres of new drainage and over 1,000 metres of ditches are being added to the site to revamp the way rainfall can be handled. In addition, four new traffic routes to the festival site are planned (1 from the North and 3 from the South) to attempt to avoid the kinds of issues caused last year by the closure of the M1. Day ticket holders and those driving in each day will also be parked on hard carparks / tarmac as much as possible to prevent any issues of vehicles getting stuck. In addition, the disabled campsite is also being relocated to a new location with closer parking, more hardened ground and proper paths for throughfare and for access to facilities such as showers. The quiet camp site is also moving to alter its position compared to the flight path of the planes from East Midlands Airport, to ensure it lives up to its name as much as possible. In the arena itself, the Avalanche Stage is relocating to a position near to the NXT Wrestling Arena, and there will be more space around the Zippo Encore Second Stage, making access to Download’s second biggest stage easier and allow for quicker movement around the site. There will also be a volunteer group of 400 members of the Dog Squad, spread around the arena, campsites, car parks and other parts of the festival site to help attendees with any issues they might have. 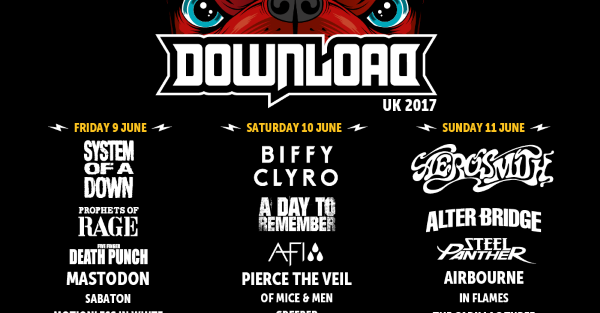 For all the information about this year’s Download line-up, and to buy tickets, please visit www.downloadfestival.co.uk.